Check out the final painted version of Tracy Tubera’s newest resin figure, Wade: Maximum Effort! 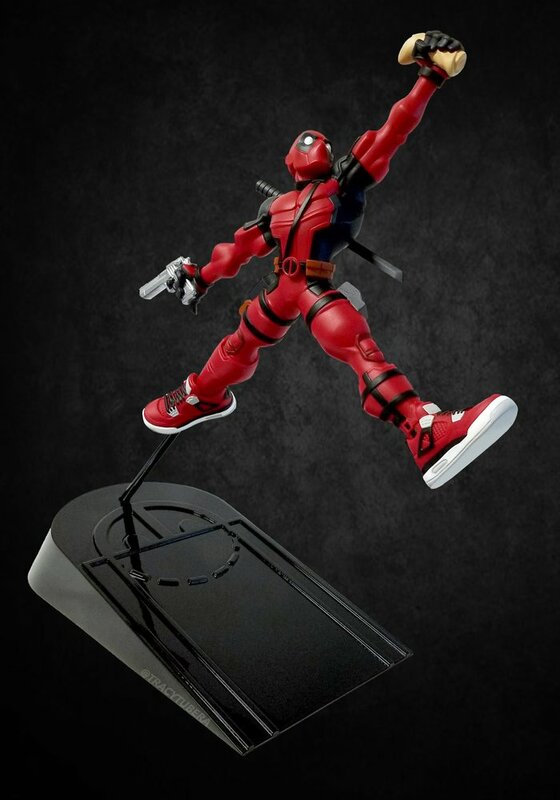 This epic new piece inspired by Michael Jordan and his Nike brand, Air Jordan, features Marvel’s Deadpool taking flight as he reaches to the sky for his beloved Chimichanga. Using Maximum Effort, the Merc with a Mouth jumps from the free throw line to hammer down the pain! 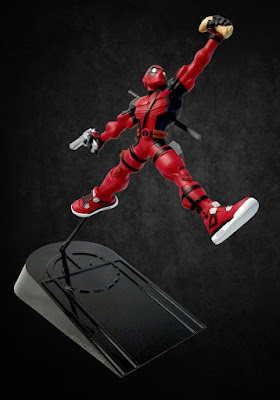 Rocking his favorite Air Jordan sneakers, Wade Wilson is ready to ball up any, and all, suckas! The Wade: Maximum Effort resin sculpture is currently available for pre-order at Tracy Tubera’s online store for $200. 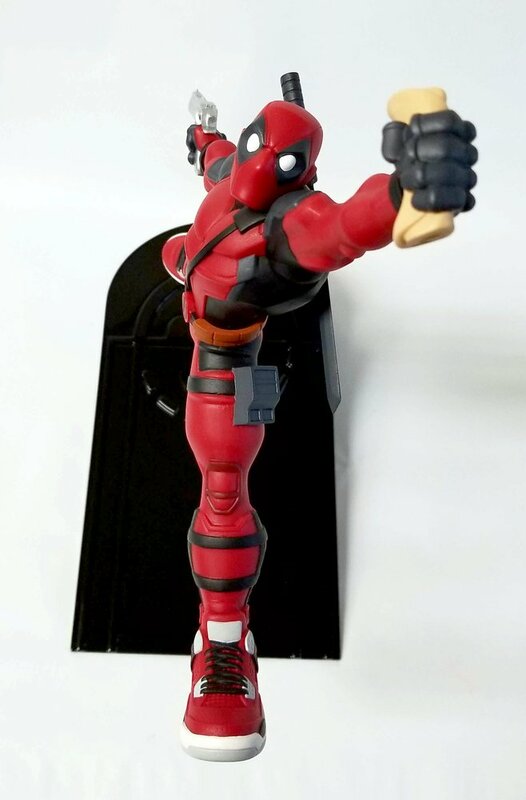 Produced by Mana Studios, each Deadpool piece stands 14.5” tall, and comes hand crafted, hand assembled and hand painted. Wade himself measures over 10” wide and comes with a base featuring a sculpted basketball key design.